Statistical comparisons between the UK and the USA rarely have any real value. You have to adjust the figures to reflect the huge disparity in the size of our respective populations if there is to be any real perspective given. Every now and then, however, you read something that stands out as quite startling and recently an article by Andrew Cohen in Wednesday’s online version of The Atlantic did just that. Andrew highlighted the huge difference in the US government’s spending on fighting terrorism versus national gun crime – about 1,000 to 1 in favour of the fight against terrorism. It is an interesting and poignant article but one figure jumped out from the page as simply horrendous. Each year some 31,000 Americans are killed by firearms. Although on this side of the pond we understand that gun crime is always going to be a bigger issue for American citizens, few of us still see the country as the gun-toting Wild West of 1950s Hollywood movies. But figures like this do tend to bring your view of America back towards that image. 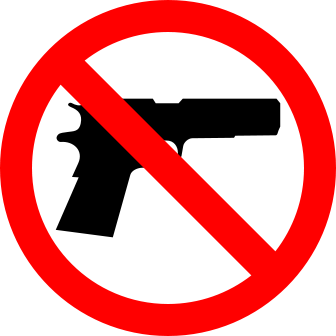 Not to mention that when you are there, you are faced with unsettling ‘no firearms’ signs on so many public buildings in the country’s cities – you can imagine the outcry if such signs became commonplace here. So with the caveats of my opening paragraph in mind, I compared America’s gun crime figures with figures for a major cause of mortality concern in the UK – road deaths. I found that in the last decade 28,000 UK citizens died as a result of road traffic accidents. So during that same time nearly a third of a million American civilians died at the wrong end of a gun. Again, there are huge comparisons of scale if you want to talk about figures as a percentage of population. Even so, as a warning that we must keep on top of our own battle against the rise in gun crime, I think these simplistic comparisons bring the picture sharply into focus. Is our government prioritising funding to tackle gun crime any more appropriately than America’s? Probably not but let’s just make sure that we keep the pressure on them to treat our gun crime problem with the seriousness it deserves. This entry was posted in General and tagged America, gun-crime, law and order, public-policy. Bookmark the permalink.